Why Mt Pilchuck? 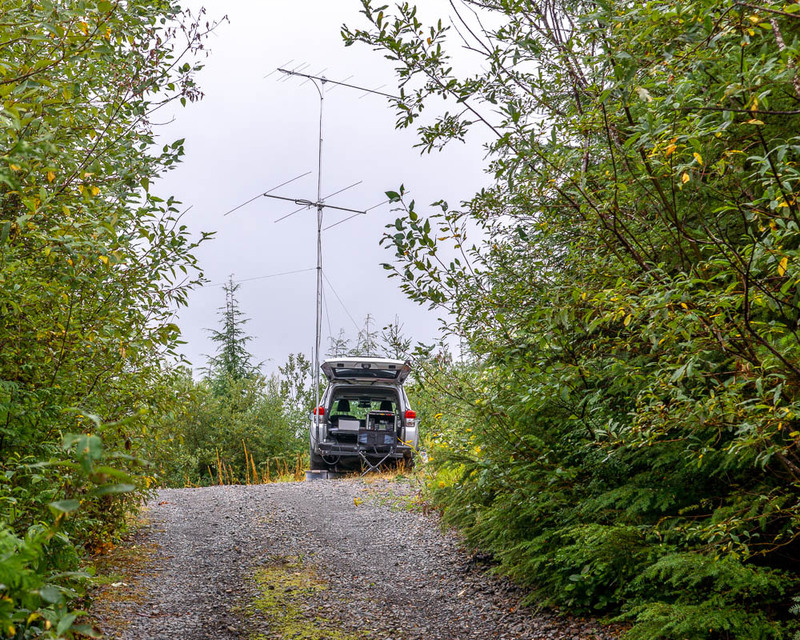 I need to get QSL cards for 6 meters in CN98. The best spot is the grid is the premier location on this ledge on the side of Mt Pilchuck, CN88bb. I was there six years ago in 2012 but only carried 2 meters. 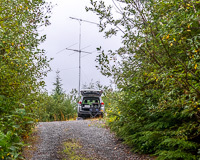 This was my chance to activate it on 6 meters as well. I brought a modest station on this trip, since I didn't have the energy this week to assemble the high-power grid expedition station. Choosing my call sign was a problem. I couldn't use 'K7BWH' because I wouldn't spend the whole contest in one spot. 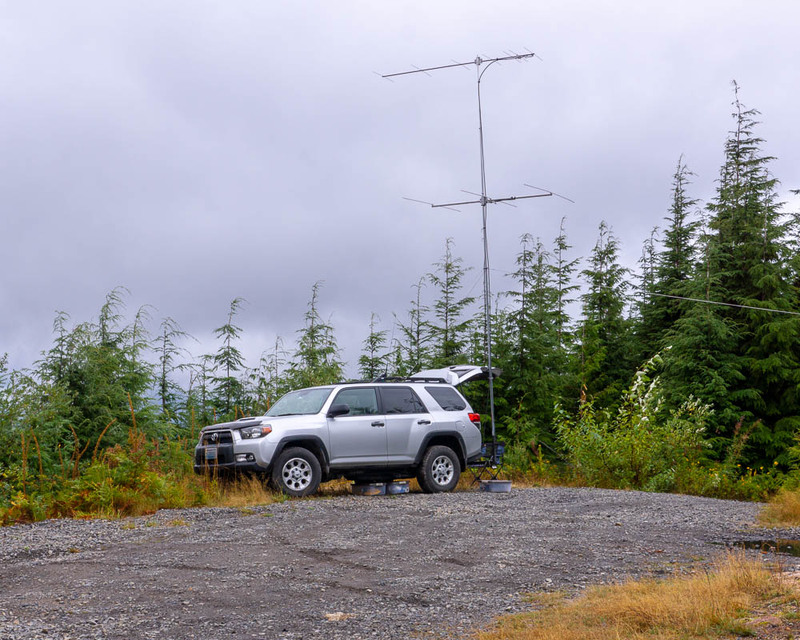 I couldn't sign "/Rover" because it's such a pain to use it in WSJT-X. 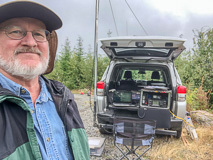 If I used 'K7BWH' in both places and claimed one was a check log, then ARRL would score one of the locations as zero points but it's hard to predict which spot. So I finally settled on borrowing the club call sign K7VHF for Sunday so I could play on the air from home. I brought a modest station. I just didn’t have any energy this week to prepare the high-power big-antenna station. I brought a barefoot 9100, 3 elements on six, and 7 elements on two meters, and run it from a Honda 2 kw generator. Turns out this was plenty on Mt Pilchuck. My station would have gained 13 dB if I added the amp and bigger beam - wholly unnecessary! Portland CN85 to the south was loud and I also worked CN84. Mark VE7AFZ/R to the north was easy copy in all three places I worked him. Dave VE7HR also had a great signal here. I even worked VE7DAY in CO71 - great fun. I heard Mark W7MEM in DN17 to the east but I guess he never heard me; I was facing a big hill in that direction. Often I was the first to work a new player on the band, leaving the crowd to tail-end him in a big mess while I switched to my other band. I almost feel guilty, but I just love these outings where all the contacts are easy. If I could hear them at all, they usually replied on my first call. Also I really like being the DX and have people find me. I got lots of “thanks for the new grid” reports. I operated about 7 hours and scored around 3,000 - which will be among my best total scores. The weather was 55-60 degrees, overcast and a mild breeze all day. Not bad but I failed to bring clothes warm enough to sit motionless in a chair all day. Good thing I had furniture pads to use as blankets. At 6:00 pm I began tear-down and packing up. At 6:45 pm I was on the slow pothole-filled unpaved road headed down the mountain. It took about two hours to drive home to Lake Forest Park. 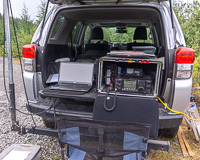 On Sunday I used my home station with a seriously compromised antenna and location. I live in a small enclosed valley with hills nearby on all sides. 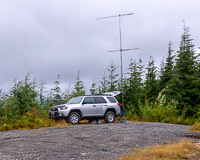 A multi-band dipole can be coerced into tuning up on 6 meters. A whip on the chimney provides FM simplex on 144 and 432 MHz. This was as useless and frustrating as Mt Pilchuck was fun and rewarding. I made ten contacts all day and even the big guns could barely hear me. Oh well, at least got to operate as K7VHF for a day! Gosh there were a LOT of portable and SOTA and Rover stations this weekend! Incredible. Heartwarming. I am amazed. Nice job guys, thanks for going out.